America is on the brink of war with England, and Fin Button is about to come undone. She’s had it with the dull life of the orphanage, and she’s ready to marry Peter and get away from rules, chores, and a life looked after by the ever-watchful Sister Hilde. But an unexpected friendship forms between Fin and the fiddle-playing cook, Bartimaeus, which sets her on a course for revolution.With Bart’s beloved fiddle and haunting blunderbuss as her only possessions, Fin discovers her first taste of freedom as a sailor aboard the Rattlesnake. She’s hiding some dark secrets, but there are bigger problems for the crew—they are on the run from the Royal Navy, and whispers of mutiny are turning the captain into a tyrant.When Fin finally returns home, will she find Peter still waiting, or will she find that she’s lost everything she once held dear? 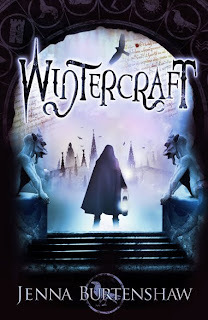 2) Wintercraft by Jenna Burtenshaw. I found this one over at Ladybug's site too. She is finding some fantastic books lately. Ten years ago Kate Winters’ parents were taken by the High Council’s wardens to help with the country’s war effort. Now the wardens are back...and prisoners, including Kate's uncle Artemis, are taken south on the terrifying Night Train. Kate and her friend Edgar are hunted by a far more dangerous enemy. Silas Dane – the High Council’s most feared man – recognises Kate as one of the Skilled; a rare group of people able to see through the veil between the living and the dead. His spirit was damaged by the High Council’s experiments into the veil, and he’s convinced that Kate can undo the damage and allow him to find peace.The knowledge Kate needs lies within Wintercraft – a book thought to be hidden deep beneath the graveyard city of Fume. But the Night of Souls, when the veil between life and death is at its thinnest, is just days away and the High Council have their own sinister plans for Kate and Wintercraft. 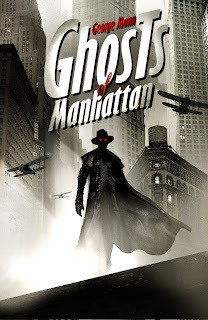 I found this one at Book Chick City and fell in love with the US cover of this steam punk novel. I found this one over at Nymeth's blog Things Mean ALot. 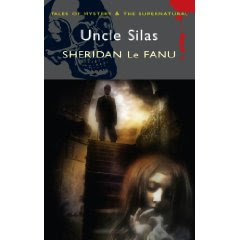 In Uncle Silas, Sheridan Le Fanu's most celebrated novel, Maud Ruthyn, the young, naive heroine, is plagued by Madame de la Rougierre from the moment the enigmatic older woman is hired as her governess. A liar, bully, and spy, when Madame leaves the house, she takes her dark secret with her. Later in the book,once again, she encounters Madame, whose sinister role in Maud's destiny becomes all too clear.With its subversion of reality and illusion, and its exploration of fear through the use of mystery and the supernatural, Uncle Silas shuns the conventions of traditional horror and delivers a chilling psychological thriller. They are my finds this week. What did you find? What a pity that the amazon blurb for Uncle Silas has spoilers :/ A lot of that only happens about halfway through the book. Why, publishers, why? I have to say I am in love with all the covers this week. Yum! 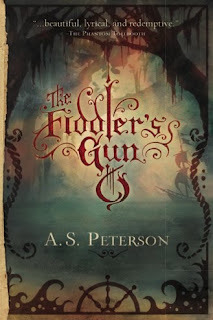 It's been a while, but I remember reading a great review for The Fiddler's Gun. My Friday Finds are over at bookwanderer! Nymeth - I have sent you an email regarding the Amazon blurb. Carmen - you are a cover girl just like me! Bermudaonion - The Fiddler's Gun just sounds awesome. Great picks! I just love the first cover, it's wonderful and mysterious. My find is at The Crowded Leaf. Four books I haven't heard of before - nice finds! Your Friday finds sound fantastic, Vivienne. Happy weekend to all! Fabulous find! Wintercraft is one I'll definitely have to check out! Alayne - it was the cover I fell for first. I definitely have cover crushes. Alyce - you know me and spooky. MarceJ - it does, doesn't it. Ladybug - your books were definitely a hit with me this week. Great finds, Vivienne! You always make me add books to my never ending wish list! great finds! I like the covers.